Presented by Home Decorators Collection, Grey Oak's authentic, cross-sawn texture and grey color achieve the look of reclaimed wood planks, adding fashion-forward beauty to any room. Its durable and ultra-strong AC4 wear layer protects against scratching, fading and staining, paired with a 50-year residential warranty to ensure decades of lasting beauty and functionality. Appropriate for both residential and commercial uses, it also features a user-friendly locking technology to ensure quick and easy installation in your home or business. 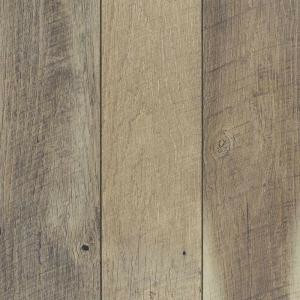 Buy online Home Decorators Collection Grey Oak 12 mm Thick x 5 31/32 in. Wide x 47 17/32 in. Length Laminate Flooring (13.82 sq. ft. / case) 368501-00265, leave review and share Your friends.